This is for a sterling silver chain and tag with heart charm. 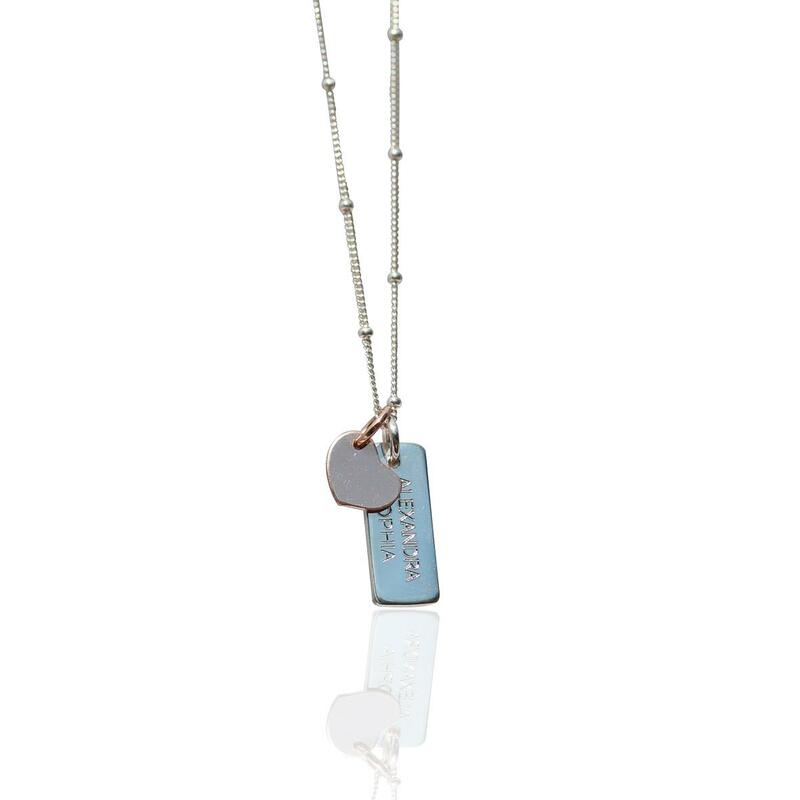 Easy to wear and the tag can be engraved for you. Engraving Font: as seen in image.